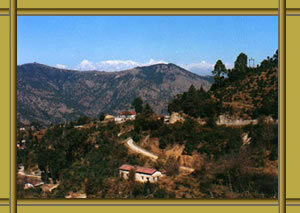 Mukteshwar is a quiet paradise. On the sunshine days you can easily see the surrounding peaks with your naked eyes, stretching upto the far borders of Nepal. You can trek to your heart's content, visit the local temples or do absolutely nothing, just enjoy the bliss around. Mukteshwar Temple: This place got its name from the ancient Shiva temple atop a hill. There is an ashram on the hill, with a hermit living there. Mukteshwar Temple is at an altitude of 2,312 m and can be approached by stone stairs. The temple is dedicated to lord Shiva and has a lingam made of white marble. The idols of Brahma, Vishnu, Parvati, Ganesh, Nandi and Hanuman surround the lingam. 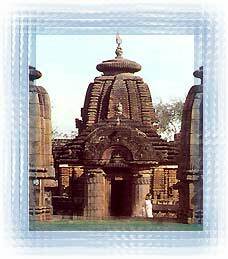 Next to the temple is the Chauli Ki Jali. 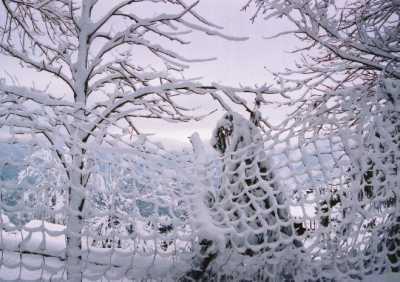 It is a natural latticework on the rock. It is a belief that barren women are blessed with kids if they touch this jali. Ramgarh: Ramgarh is a small and beautiful hill station and tourist destination on the way to Mukteshwar (25 kms from Mukteshwar). Ramgarh is rich in fruit orchards.This serene place is situated at an altitude of 1789 mts.An unobstructed view of the snow-capped ranges of the Himalayas from this place can be seen.The place was once the cantonment of the English army.The famous poets Rabindra Nath Tagore and social worker Narain Swami had established their ashrams over here. There is also a library dedicated to famous writer Mahadevi Varma, who got the idea of writing Lachma, the famous story, in Ramgarh. Chauli ki Jali: A fascinating rocky cliff behind the Mukteshwar temple. Leaning on the edge of the cliff you can have a view of your lifetime of the surroundings and the far off peaks. But be careful. This particular place is worth a visit. According to local belief, if you make wishes here, they are fulfilled. The beautiful place is 2286 mts in altitude and 51 Kms. from Nainital. Surrounded by fruit orchards and thick coniferous forest it was developed by the Britishers as research and education institute (IVRI) in 1893. It is the celebrated scenic spot overlooking long ranges of Himalaya.An old temple of Lord Shiva exist on the top of a rock. Situated at an altitude of 2286 mts. on Bhowali Devidhura road, Mukteshwar is a small hill station covered with a thick wooded forest and offers a majestic view of the Himalaya. 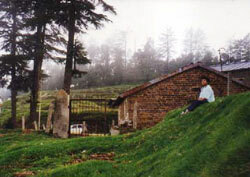 Near Mukteshwar is a stone hole of Chauli Ki Jali, dedicated to Lord Shiva. On a moonlit light, the place offers a spectacular view of the sparkling town of Almora and the majestic peaks of Adi Nampa of Nepal stretching upto the Chaukhamba Peaks of Garhwal. It is also famous for the hundred year old Indian Veterinary Research Institute campus. Nearest railhead is Kathgodam, 73 kms. via Bhimtal & 76 kms. via Jeolikot-Bhowali. Nainital 50 kms., Bhowali 39 kms. and Ramnagar 25 kms.